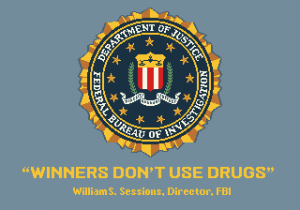 Beginning in the late 1980s, the federal government extended its anti-drug message to arcade games. 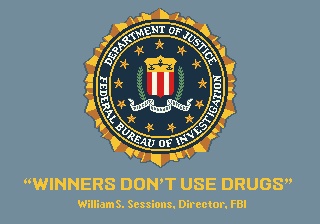 “Winners Don’t Use Drugs” was a popular slogan that was hatched during a dinner between old friends, Inverse.com reports. Bob Davenport, the the FBI’s director of public affairs, met with former FBI Agent Bob Fay, who at the time was the executive director of the American Amusement Machine Association. That turned into trip to FBI headquarters in Washington. The two friends decided the best message was “Winners Don’t Use Drugs” because it was concise and snappy. The message became ubiquitous on video arcades in the late ’80.s. “From some of the feedback that we were getting from the video game industry and others in the drug awareness program, we felt that it was pretty successful,” Davenport said. Posted: 8/24/15 at 9:18 AM under News Story.